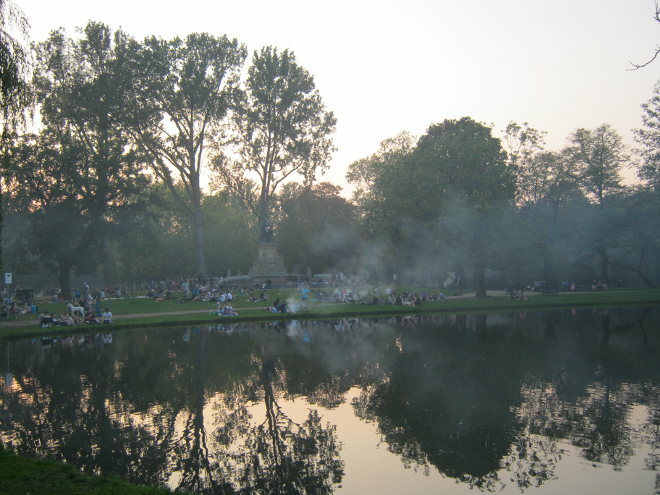 I took this photo in Vodelpark, Amsterdam, during a heatwave some years ago. As the sun began to dip, dozens of people arrived and began to settle down for an evening of revelries. The scene is so atmospheric with the smoke from barbecues and bonfires drifting skywards. What could happen here in this hinterland between day and dusk?